Plot: After Henry II brings Eleanor of Aquitaine out of prison, Christmastide 1183, power grabs and treacherous plots are hatched amongst the couple and their three sons, but with little real intent to alter the status quo. One of my favorites. Very talky (like most period pieces adapted from the stage), but with dialogue this witty it's impossible to complain. Hepburn won a well deserved Oscar for her performance (in the only Best Actress tie ever! ), and the rest cast is uniformly excellent. Supremely quotable, with some of the most enjoyable bouts of scenery chewing ever rendered (Al Pacino and Robert De Niro should take notes). And a young Anthony Hopkins and Timothy Dalton to boot. No posts have been made on this movie yet. 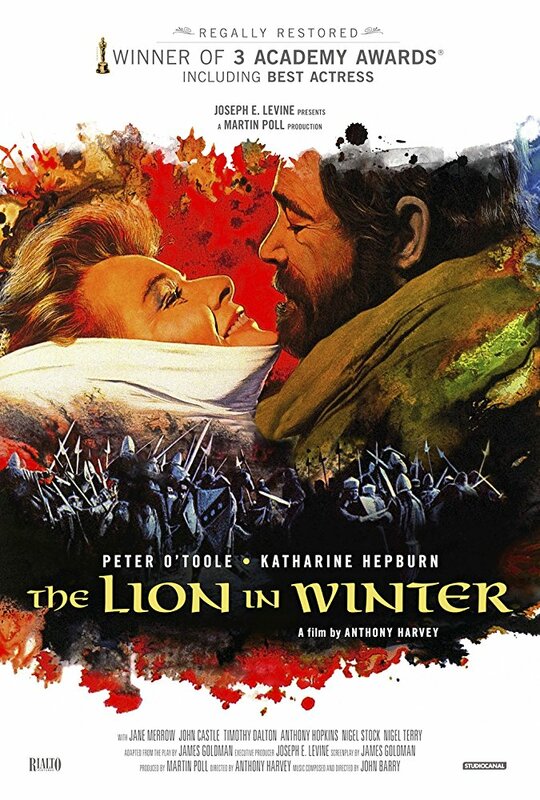 Be the first to start talking about The Lion in Winter!